Beginning in 1958 Trulife developed what would become the world’s first breast prosthesis. 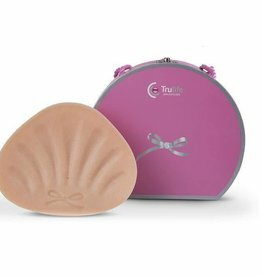 Knowing that customers always deserve the best, Trulife continue to lead through innovation and have created the most natural and beautiful breast forms and pocketed bras available. This story was a labour of love born out of a belief that only the best will do and it is that ethos which remains at the heart of everything at Trulife today. By understanding the importance of restoring confidence, self-esteem and ultimately a better quality of life for women following breast surgery, Trulife have created the most natural, lightest, coolest and softest breast forms available. Trulife understand because they listen and have been listening for over 50 years.